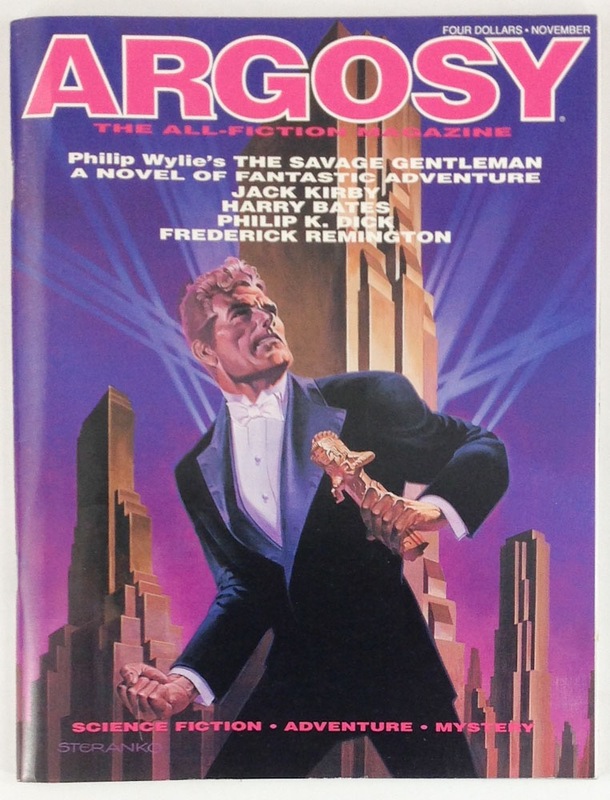 Color cover painting by Steranko for Philip Wylie's novella "The Savage Gentleman": the inspiration for Doc Savage. Part two is contained within. Jack Kirby's 10-page comic story "Street Code." Glen Murakami Illustrates a Harry Bates novella. A pro-zine published by Long Beach bookseller Richard Kyle.